Many clients who are looking to save a few bucks consider buying a used copier in Denver. 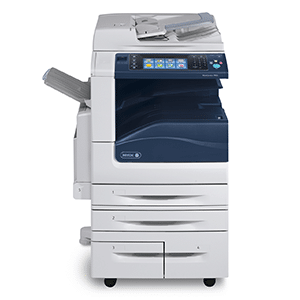 One thing that is interesting, is how we can often help get these clients into a new copier for the same or a lower cost if they meet a few conditions. The first thing to check, is do you print on 11 X 17 paper? If you do not, you can get a new machine way cheaper than the 11 X 17 machines. For instance, a Xerox 6655 Color copier is about $3000 brand new. It is 36 pages a minute. The Xerox WorkCentre 7835 is more like $8000 and it goes 35 pages a minute. When you buy a used copier, you generally are buying the copier like the 7830 and it is going to be over $2000. Why not just get a brand new 6655 if you don’t use the 11 x 17 paper anyway? We like to think out of the box with our clients to get them the best deals on copiers. We do have some used copiers available, but often you can get a new copier for the same price as a used one. Give us a call to discuss your copier needs!